Why do statins cause diabetes rates to increase, and what can you do about it? These alarming findings will make you want to ditch your statin drug immediately and turn to natural alternatives to statins instead. Over the past several years, there have been numerous reports linking statin use to diabetes risk. Pharmaceutical drugs are supposed to protect you from disease, not the opposite. 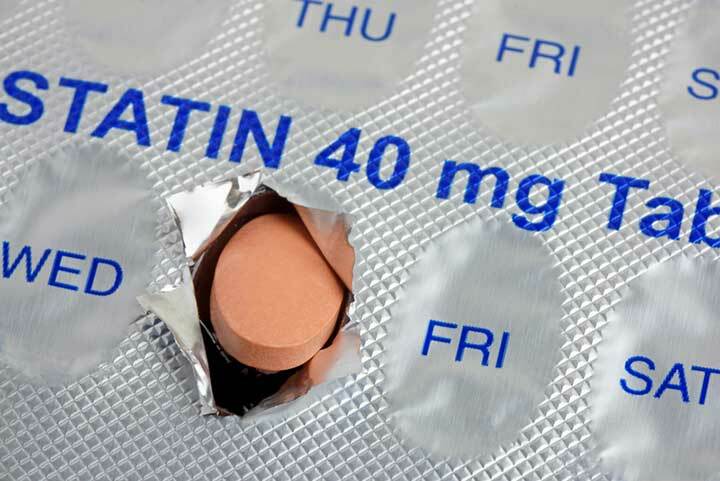 Statin drugs, which are used to lower cholesterol, are prescribed to help lower your risk for cardiovascular disease, of which high cholesterol is a risk factor. But what if they were also significantly raising your chances for getting another disease, perhaps as equally dangerous and devastating? You’ve likely heard about the link between statin drugs and diabetes, but this new study provides shocking findings that make it more important than ever to turn to effective alternatives to statins instead. Over the past several years, there have been numerous reports linking statin use to diabetes risk. 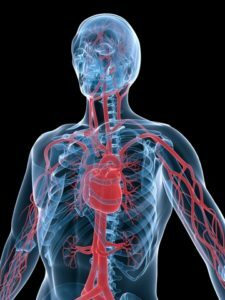 A new study, published in just March of 2015 online in the journal Diabetologia, provides alarming evidence that the connection between statins and diabetes is even stronger than we previously thought. The study followed 8,749 non-diabetic men over about six years. They found that men who were on statin treatment had a 46 percent increased risk for developing type 2 diabetes during the study. Additionally, statin therapy was associated with worsened hyperglycemia, a 24 percent reduction in insulin sensitivity, and a 12 percent reduction in insulin secretion. Just think about those numbers for a moment; taking statins could increase your risk for getting diabetes by almost 50 percent. Is that risk really worth it? Aside from raising your risk for diabetes to a dangerously high rate, statins can also cause excessive tiredness, block the benefits of exercise, damage your kidneys, cause psychiatric issues, and have other harmful effects. Cholesterol has gotten a bad name for itself, but in reality, it is actually very important in the body. Cholesterol is not only essential for the digestion of fatty foods, but it is also required to make hormones, build new cells, produce vitamin D, and do a variety of other vital functions in the body. In other words, our bodies desperately need cholesterol to function properly. While cholesterol is not entirely evil as it was once touted to be, excessively high levels of cholesterol, especially LDL-cholesterol, can be dangerous and bad for your heart. But the truth is you really don’t need statins to fix a cholesterol problem; the best alternatives to statins are a variety of lifestyle changes that can effectively and naturally lower your cholesterol to the healthy range. In fact, these changes should be your first line approach to high cholesterol, and the good news is, they really work and they don’t come with any dangerous side effects. To effectively lower cholesterol naturally, you should combine a healthy diet, exercise, and supplements proven to help maintain optimal cholesterol levels. Specific strategies include increasing dietary fiber intake, eating more cruciferous vegetables, boosting your omega 3 fatty acid intake, and supplementing with niacin (vitamin B3). Have you ever taken statin drugs? Did you experience any side effects or adverse events related to your medication? What natural alternatives to statins do you find to be effective? Share your tips in the comments section below. 2 diabetes, bad cholesterol, benefits of exercise, cardiovascular, cardiovascular disease, cause diabetes, cholesterol, cholesterol levels, cruciferous vegetables, diabetes, diabetes risk, diabetic, diet, dietary fiber intake, digestion, do statins cause diabetes, excessive tiredness, exercise, fiber, healthy diet, high cholesterol, insulin, ldl, ldl cholesterol, lower cholesterol, lower cholesterol naturally, lower your cholesterol, niacin, omega 3, side effects, statin drugs, statins, supplements, tiredness, to lower cholesterol, type 2 diabetes, vegetables, vitamin, vitamin b3, vitamin d.
The physiological mechanisms of how statins lead to diabetes are well understood, such as by their impairment of oxidative cell metabolism, the increase in inflammation and cell destruction, the lowering of cholesterol and steroid hormone production, the promotion of pancreatic injury, etc. – rather thoroughly explained in this scholarly article on how statins, and a cholesterol-lowering popular diet pill advertised by Dr. Oz, promote diabetes at http://www.supplements-and-health.com/garcinia-cambogia-side-effects.html – look at Figure 7 to see how irrational it is to block the production of cholesterol! Yet despite of the existence of that scientific knowledge, the medical business and the public health authorities keep ignoring it and continue to recommend statins to diabetics and make claims that they have a low risk profile despite that they are also significantly linked to cancer and higher mortality (just look at the propaganda put out by the Mayo clinic on statin drugs: “the risk of life-threatening side effects from statins is very low”). And because of such medical propaganda, few people are aware that the medical claims of benefits of statins are mostly based on junk studies conducted by people with vested interests. And, logically, it’s mostly the corporate medical business and other people with similar vested interests tied to it (eg, mouthpieces, hacks) who promote the alleged value of these highly lucrative products.